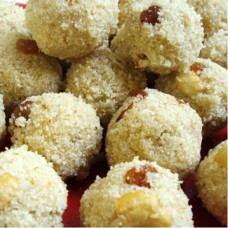 Rava Ladu is a traditional Indian sweet. It is made of using semolina, sugar, grated coconut, generous amount of ghee and dry fruits. This is a simple and delicious sweet.